The SM90 Series provides maximum versatility which makes it ideal for high school classrooms and up. The modular design allows you to use the stereo stand with other Swift modular heads. Built to withstand student use, this series comes with locked-on eyepieces, spring-loaded stage clips, “slip-clutch” focusing system and Swift’s unique “C-wrench” tool that allows teachers to control focusing tension. This series also has been updated with LED top and bottom illumination. 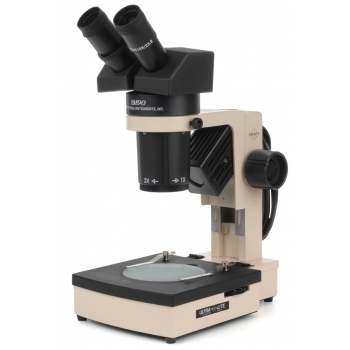 Click the button below to add the Swift SM90 LED Stereo Microscope Series to your wish list.